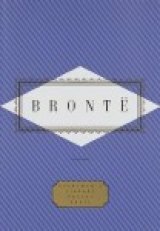 Emily Brontë was born in 1818. Along with her poems, her novel, Wuthering Heights, is considered a classic of Victorian literature. But she lived in obscurity, never having published under her own name—she wrote as "Ellis Bell"—and never having achieved the kind of critical or commercial success experienced by her sister, Charlotte (who wrote as "Currer Bell").